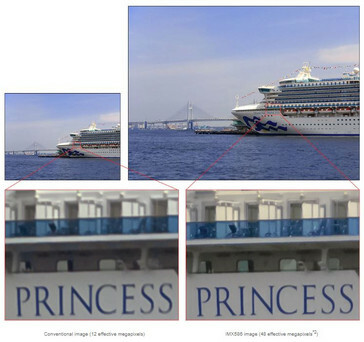 Sony has unveiled the new IMX586 imaging sensor for smartphones that packs an effective 48 MP with a pixel size of 0.8 microns. 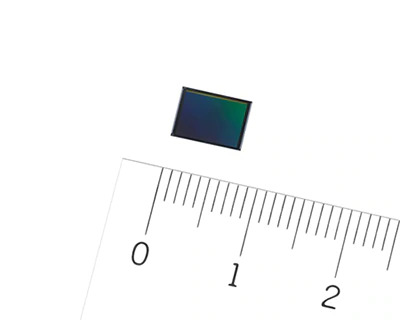 The CMOS sensor features a Quad Bayer color filter array that bins adjacent 2x2 pixels to yield sensitivity equivalent to a 1.6 micron 12 MP sensor. Sony has taken wraps off its new IMX586 imaging sensor for smartphones. The IMX586 packs an impressive 48 MP on an 8mm diagonal unit with each each pixel measuring just 0.8 microns. The enhanced MP count should give smartphone uses the ability to take SLR-quality images with lossless digital zoom. A 0.8 micron pixel size might seem small and less efficient in capturing the entire light information, especially in low light. To circumvent this problem, the IMX586 sensor uses a Quad Bayer color filter array that bins 2x2 adjacent pixels to provide light sensitivity equivalent to what a 12 MP sensor with a 1.6 micron pixel size can provide. In bright light, the built-in signal processing does an array conversion to yield an effective 48 MP image. Thus, photos should be sufficiently detailed even with digital zoom. Sony also claims 4x greater dynamic range than previous generation sensors that enables minimal highlight blowout in bright areas or loss of detail in dark areas of the image. The results of this are best seen on smartphone displays as high-end monitors can still reveal uneven highlights in image. The 8 mm diagonal size means that smartphone makers need not raise bumps to house the sensor. Going by the spec sheet, other features of the sensor include full frame burst capture at 30 fps and support for 4K video recording at 90 fps and 1080p video recording at 240 fps. Whether the smartphone is indeed able to use of such capabilities is, however, dependent on the handset manufacturer. This is not the first time we are seeing high MP counts in smartphones, though. The Nokia 808 PureView and the Nokia Lumia 1020 pioneered the oversampling technique that gave us lossless zoom on 40 MP cameras. The Huawei P20 Pro also uses similar pixel binning techniques but the availability of high MP in a commercially available sensor means that more smartphone users can get access to quality digital zoom in day-to-day shots. The Sony IMX586 sensor will be available to smartphone makers for a unit price of 3,000 JPY (US$27) from September 2018. It will be sometime before we see this sensor in smartphones but there is a slight possibility that the Xperia XZ3, which is set for an IFA 2018 unveiling, might get the first honors.